Welcome to East Pass Towers I a popular condominium complex nestled amongst the picturesque Destin Harbor, the East Pass and Norriego Point. This 2 bedroom/2 bath condo offers 16'' tile flooring, upgraded kitchen with granite counter tops, tray ceiling, stainless steel appliances, breakfast bar and full size washer & dryer. The living, dining area and master bedroom sport views of the Gulf & East Pass. The expansive balcony allows for two separate seating areas each with different views. Included with the condo is a garage parking space & extra storage space. A total added bonus. 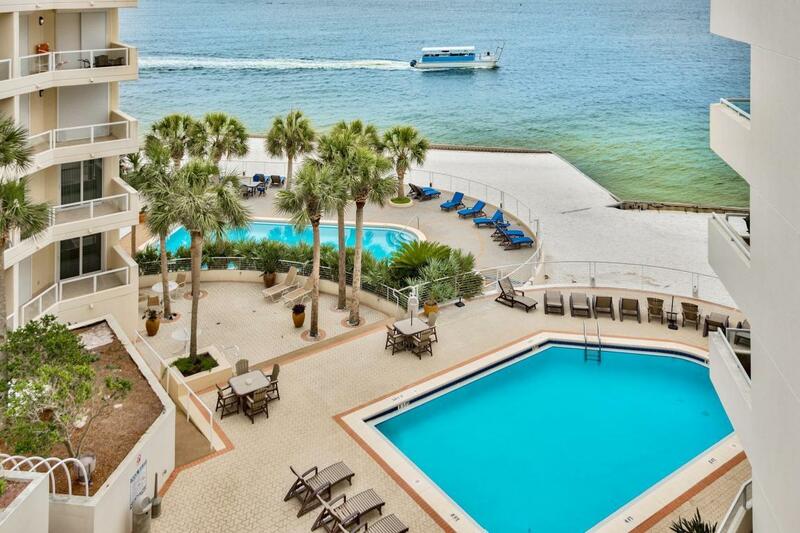 East Pass Towers features waterfront pool & spa, beach, fitness center & a full service marina.